Welcome to Avalon and Southwest England where the legends and mythos of the ancient mysteries and the Holy Grail are kept alive and the archetypal patterns have been held throughout the veils of time. We will be connecting with these archetypes, the ancestors and powerful Earth energies in the beauty of this sacred land. Blessing the Earth and singing the Stars! We begin in Glastonbury, the ancient Isle of Avalon, where we will stay for four nights. We then continue following the Michael-Male and Mary-Female energy ley lines which leads to Cornwall where we will stay for three nights. From Cornwall we travel to Salisbury near Stonehenge and Avebury where we will enjoy our last four nights.Stonehenge is where the intersection of the dimensions strong vortex aligns with the Great Central Sun and Milky Way Galaxy. It is in this area that the majority of the enigmatic crop circles, the cosmic messages between earth and the galactics have appeared for decades. We will also be offering a taste of what your personal energy is bringing to this group and mission through an experiential astrology workshop where you will come to know yourself at a deeper level and discover hidden parts of yourself. 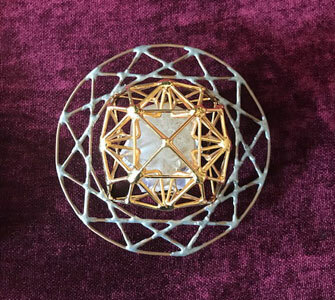 With the combination of the Avalon and Shasta StarGates we will not only be strengthening the crystalline grid of Mother Earth, but also within ourselves. If you feel the call, please follow your inner knowing and join us on this mystical and magical adventure. Glastonbury has for centuries been a spiritual pilgrimage site with mystical healing energy. It is known as the heart chakra of Gaia. Findings from the megalithic era were found along with the remains of an ancient stone circle on the top of Glastonbury Tor, a labyrinth on its hillside, and a landscape zodiac surrounding it. Many believe the temple site of the Avalon priestesses existed here. The Tor is also known as the doorway to Annwn, the Celtic name for the Otherworlds, which is the home of Gwyn Ap Nudd, the King of the fairy folk. Long before the Arthurian times legend spoke of Joseph of Arimathea, who brought his young nephew, Jesus, to Glastonbury on a spiritual pilgrimage. It is said that after Christ’s resurrection, Joseph brought the cup of the last supper, later to be known as the holy grail, from Jerusalem to Glastonbury. Legend also speaks of land in Glastonbury being given to Joseph of Arimathea and the holy family for a safe place to worship and live. This is where the St. Joseph’s Chapel, also known as the Mary or Lady Chapel, now stands in the grounds of Glastonbury Abbey. There are many myths and legends surrounding Glastonbury and ancient Avalon. It is a mystical place that will call you back again. Our StarGate Merlin Tour begins in Glastonbury for a 4 night stay in the Pilgrim’s BnB. We are blessed to have the entire BnB for our group. You will love Brian and Clare who will cook you the best English breakfast each morning and make you feel like part of the family. While in Glastonbury we will follow in the footsteps of the ancients up Wearyall Hill, and the majestic Glastonbury Tor. We will enjoy the 34 acres of the spectacular Glastonbury Abbey and the Magdalene Chapel. You will also have plenty of time to enjoy the colorful town and people of Glastonbury. A special Chalice Well holy water ceremony will be performed for our group by Glastonbury Priestesses, Lorye Keats Hopper and Celia Thomas, guardian of the Lyceum of Isis of Avalon, where we will attune to the devic energy and timeless beauty, peace and serenity in the most sacred Chalice Well Gardens. We will be in Glastonbury for four nights. During that time we will visit Glastonbury Abbey and the Magdalene Chapel, Glastonbury Tor, the Chalice Well Gardens and holy well for a private ceremony. You will have plenty of free time. 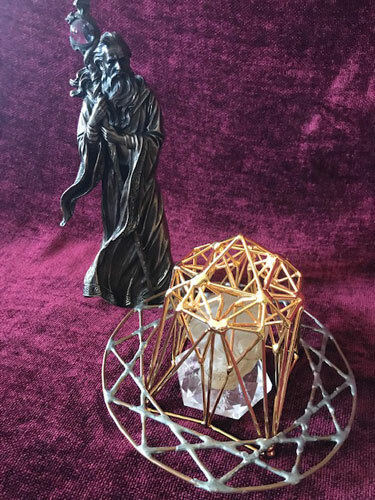 Elizabeth and Linda will be presenting the significance of the special astrological alignments and how our group energy will be working to activate the StarGate energy in the sacred sites. You will not only benefit personally, but will be contributing to the global transformation of our world. On May 16th we will drive from Glastonbury to the mystical town of Tintagel, Cornwall on the southwest coast of England. We have a three night stay at Camelot Castle with a sea view overlooking Tintagel Castle, the legendary birthplace of King Arthur and Merlin’s bay. It is here we bring the stargate energy to Cornwall for a ceremony in Merlin’s cave. We have a special opportunity to visit King Arthur’s Great Hall and meet with Professor Roland Rotherham, who is an Arthurian scholar, storyteller and writer, specializing in the legend of Merlin, King Arthur, and Glastonbury. King Arthur’s Great Hall is home to the Fellowship of the Knights of the Round Table of King Arthur. A special presentation will be given by Roland, who is the guardian-knight of the Great Hall. He will share the Arthurian story about the soul journey of the holy grail, depicted in the 72 exquisite stained glass windows, which is the largest pre-raphaelite collection of stained glass in the world. This will be followed by a private group meditation. On May 18th, the day of the Wesak Full Moon we will travel to Bodmin Moor in Cornwall for a ceremony at the ancient stone circle called the Hurlers. This stone circle is one of the main acupuncture points on the ley line called the Michael (male) and Mary (female) ley lines that runs through England and is linked to the stars, Arcturus, Vega, and Mintaka. We will end our day by enjoying the full moon over Tintagel Castle and Atlantic sea. A special treat and highlight of the tour is the walk through the enchanted fairy woods of St. Nectan’s glen to the magnificent waterfall. Often the fairy orbs show up in photos. May 19th we will board our royal coach and travel from Cornwall to the Salisbury plains. We will arrive at Salisbury for a four night stay. Salisbury is the magnificent cathedral city with the spectacular 753 year old Salisbury Cathedral of Mary with the highest beacon “light house” spire in all England. May 20th is a full Stonehenge Day beginning at Stonehenge in the morning we will walk the circumference and the many ancient burrows and alignments around Stonehenge. That evening we are blessed to have private access for StarGate ceremony in Stonehenge’s inner circle. Stonehenge the “Temple of the Stars” and Avebury the “Winged Serpent Goddess Temple” are together one enormous Earth Temple and the most active portal on the Earth that connects Heaven to Earth. This is the place the Galactics are able to enter and why the majority of the crop circles appear in this area. May 21st we will have a full day in Avebury, the largest stone circle landscape and the power spot of our Earth Goddess. We begin in Avebury’s “Sanctuary" the most sacred place for prayer and creation. Next we walk to West Kennet Longborrow and enter the holy chamber womb of birth, death and rebirth of the Great Mother Goddess. From here you have the best view of her pregnant belly, Silbury Hill, which is a powerful galactic “signal station”. Avebury’s Avenue of massive stones leads to the inner circle and its ceremonial center with the Sun and Moon circles. The Masculine and Feminine energy ley lines come together in Divine Union. This is where we will have our StarGate ceremony and where our love and prayers will be sent out throughout the crystalline grid. We will have The Henge Shop’s upstairs meeting room for our use throughout the day. The owner of the shop, Philipe Ullens will be sharing many photos of the crop circles and the life altering effect the crop circles had on his life which led to his purchasing The Henge Shop and moving to Avebury from Belgium with his wife Dominique. Hopefully we will see a crop circle! We thank you and honor each one of you for hearing the call and joining us on this StarGate Avalon journey. We look forward to meeting you and to discover the gift that each of you will bring to the round table. Special discount of $100 off per person when two people sign up together! Three main meals included in the tour. Due now to secure your place.